I need a coffee to go with my coffee. How many coffees do I need to drink before I feel normal? That is the question. It's never too late for a coffee. After all it's always morning somewhere in the world. 7:30 am- 3rd cup of coffee! goin' for it. 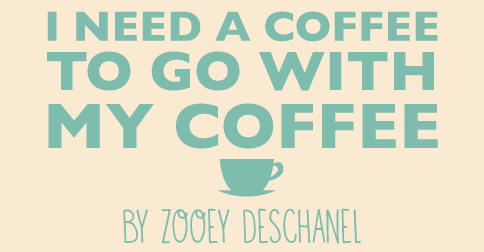 I want to go on a coffee vacation. It's a vacation where you drink MORE coffee than usual and no one gets weird or judgy about it. Oh, me? I'm not 80% water. I am 80% coffee, and a little bit of sass.